By adding a lattice or privacy fence to the side of your waterproof vinyl deck you can not only increase privacy, you can also create a space to grow climbing vines or hang outdoor artwork (or vintage signs) to add interest. However, care must be taken to avoid damaging your waterproof deck surface with installation, while also ensuring that the privacy fence is secure – so contact a qualified contractor if necessary. Rather than cut down that tree overhanging your sundeck, consider keeping it. 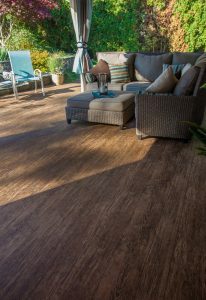 Not only will it provide natural shade on hot days, it will also keep your vinyl deck area private. Keep in mind, though, that if you have a tree that drops a significant amount of sap, needles, or leaves, that it may increase the need for vinyl deck maintenance or may reduce the lifespan of your Tufdek™ deck membrane. Alternatively, you can plant evergreen trees to suit your needs at the edge of your vinyl deck in order to add year-round privacy, or consider having a few tropical plants in pots that can be brought indoors in the winter. Check out our suggestions for the best plants to have on or around your vinyl deck for some more ideas. Deck privacy fabric is a great way to increase your vinyl deck privacy while adding color to your deck or patio. You can easily create fabric privacy screens with a few yards of outdoor fabric. They can be hung from a roof and secured at the bottom, giving you complete privacy. Leaving gaps between panels allows air to flow through while keeping prying eyes out. If you only require privacy “part-time,” consider including a pulley system so you can move the screens up or to the side. If you are dealing less with visual distractions and more with audible ones (such as traffic, trains, airplanes or noisy families), add a water feature to your outdoor deck or garden. The sound of running water not only drowns out some of the surrounding noise, it also helps increase relaxation when you are enjoying your new Tufdek™ waterproof vinyl deck. You can, of course, install a sound system instead, but we find that the sound of water is more soothing. A deck privacy awning, blind or canopy that hangs over the roof area or is able to tilt down can quickly improve the privacy of your vinyl deck, while reducing the cost of installing a fixed roof or wall. In areas with heavy snow in the winter, canopies, awnings, and sail shades can be quickly taken down and reinstalled when the weather warms. If you live in an area where sudden windstorms are common, ensure that your privacy system is secure and won’t blow away in a sudden gust! 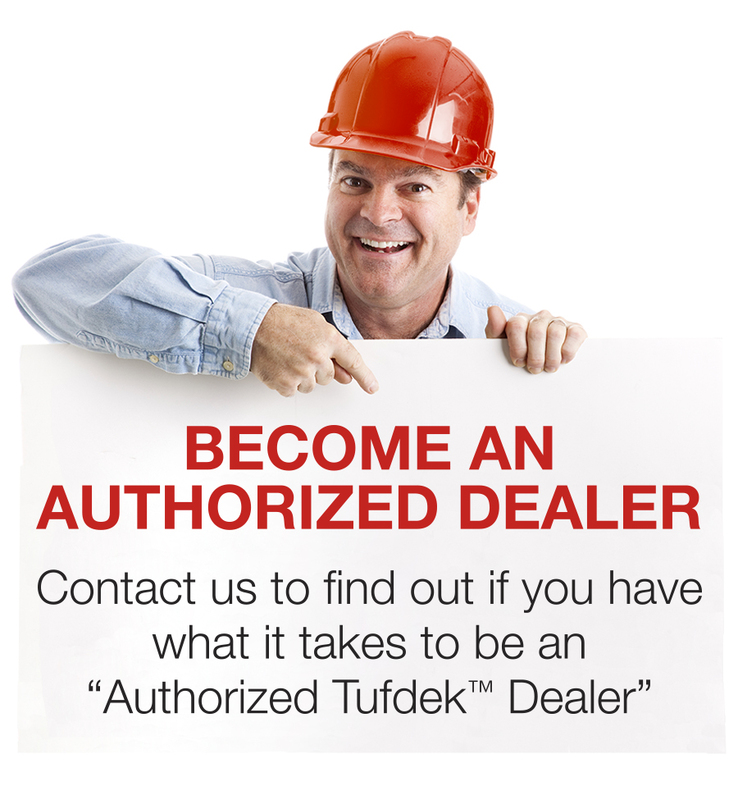 Starting with a new Tufdek™ vinyl deck surface can be the first step in revitalizing your sundeck or patio, before you take the step of adding deck privacy. 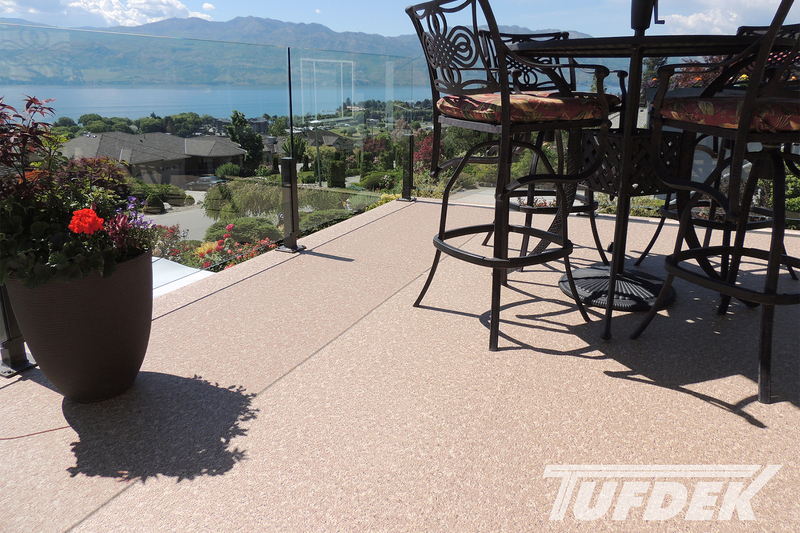 Check out our vinyl deck flooring options by Tuff Industries, or find a dealer to get started.